Receive a fair CASH offer for your House. We Buy Houses in Greenville and All Cities in Upstate SC. Receive A Fair Offer On Your House Now! 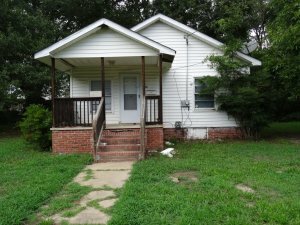 We Buy Houses Anywhere In Clemson, SC And The Surrounding Area, And At Any Price. Check Out How The Process Works. If you have thought to yourself “I need to sell my house fast in Greenville, SC… Alden is ready to give you a fair all-cash offer. He buys homes in Greenville and the surrounding area. Stop the frustration of your unwanted property. Let us buy your SC house now, regardless of condition. Avoiding foreclosure? Facing divorce? Moving? Upside down in your mortgage? Liens? And don’t want a bad situation to damage your credit, that will prevent you from purchasing another house in the future. Basically, if you have a property and need to sell it…we buy homes for cash, and we’d like to make you a fair cash offer and close on it when you’re ready to sell. Do You Need To Sell Your House in Clemson, SC? Even if an agent can’t sell your house, we can help. (Sometimes selling a house through a real estate agent is not for everyone.) And as a bonus, you won’t need to clean up and repair the property, which can be expensive, time consuming and doesn’t alway guarantee a return on your investment. Its not easy finding an agent who you trust and who can deliver on their promise of selling your house quickly. With Greenville Home Buyers you won’t have to sign a contract that binds you to an agent for a certain term, you won’t have to deal with the paperwork and the waiting and wondering (and hoping). We’ll know very quickly if we can help you, and unlike selling through an agent, you don’t have to wait to see if the buyer can get financing… we’re ready to buy right now! A Real Estate Agent would not be too thrilled to sell your house in this condition, and buyers may ask you to repair the damages. We DO buy houses in this condition, and we pay CASH! Selling a house the traditional way almost always requires the seller to do repairs. Sometimes the seller completes the requested repairs only to find out that the buyer is not able to close on the house. Guess who is stuck with the repair bill? The seller who still hasn’t received a dime for their house and is still trying to sell it! No matter what condition your house is in; no matter what situation or timeframe you’re facing… Need to sell your house fast! We help property owners just like you, in all kinds of situations. From divorce, foreclosure, death of a family member, burdensome rental property, and all kinds of other situations. We buy houses in Greenville and surrounding areas and pay a fair cash price, fast. Sometimes, those who own property simply have lives that are too busy to take the time to do all of things that typically need to be done to prepare a house to sell on the market… if that describes you, just let us know about the property you’d like to be rid of and sell your house fast for cash.